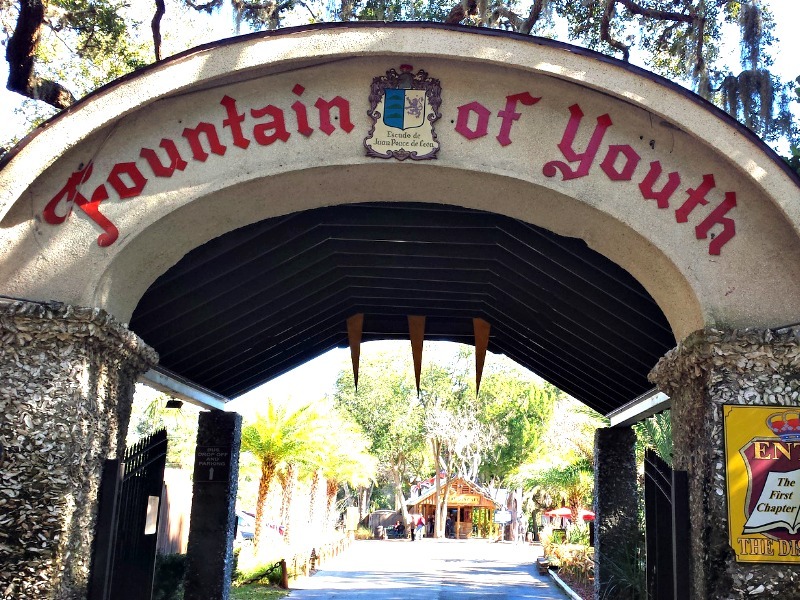 St. Augustine, Florida is full of fun and unique attractions, but one of the most unique things to do is visit the Fountain of Youth Archaeological Park. 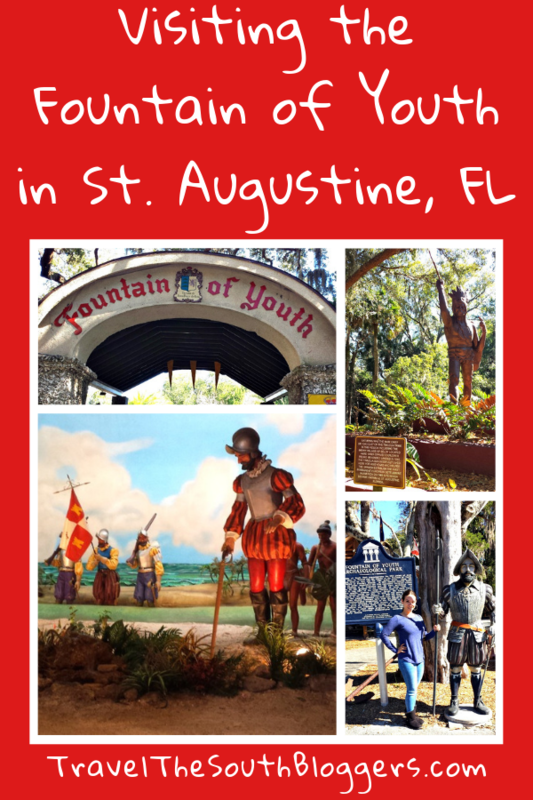 Did you know St. Augustine is the oldest city in the country? It was first discovered in 1513 by Juan Ponce de Leon while searching for the Fountain of Youth. The city of St. Augustine was later founded in 1565 by Pedro Menendez de Aviles, many years before the Pilgrims landed on Plymouth Rock. 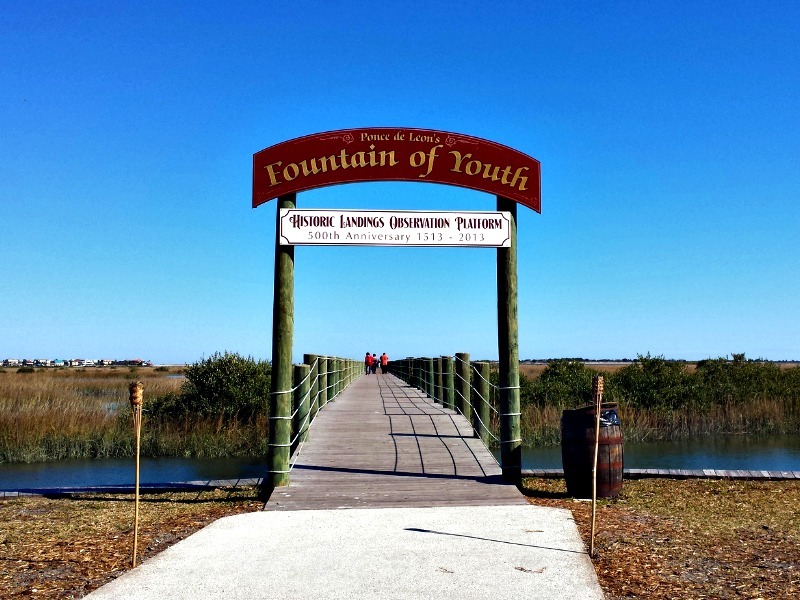 The Fountain of Youth Archaeological Park is the site of the original settlement of St. Augustine. The Fountain of Youth Archaeological Park has been welcoming visitors for over a century, when the land was bought by a private owner in 1868. 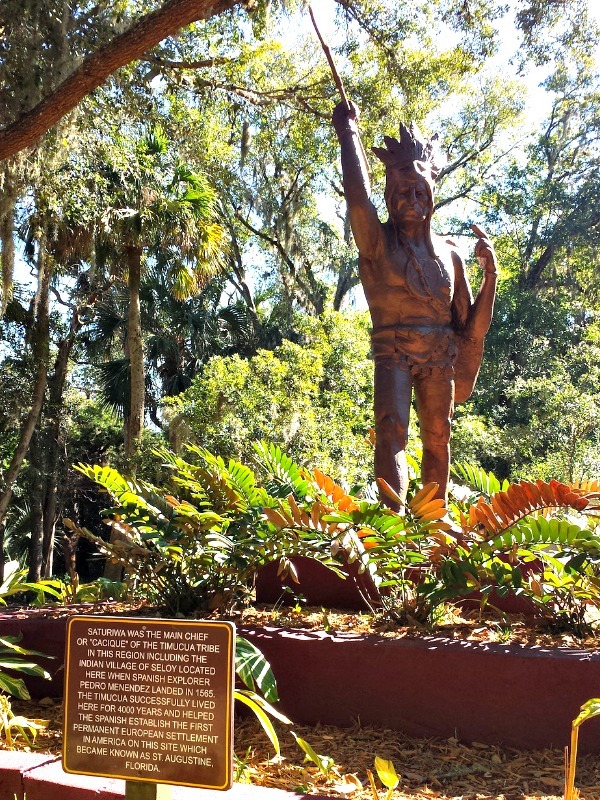 Inside, guests can learn about the history of the area, including the history of the Native Americans that once occupied the area that were known as the Timucua. Many significant discoveries have been made on the property by archaeologists such as burial grounds, original Spanish structures, and many artifacts. These discoveries cement the importance of this park as an educational and fun place to visit in St. Augustine. The park is 15 acres and is beautifully kept. 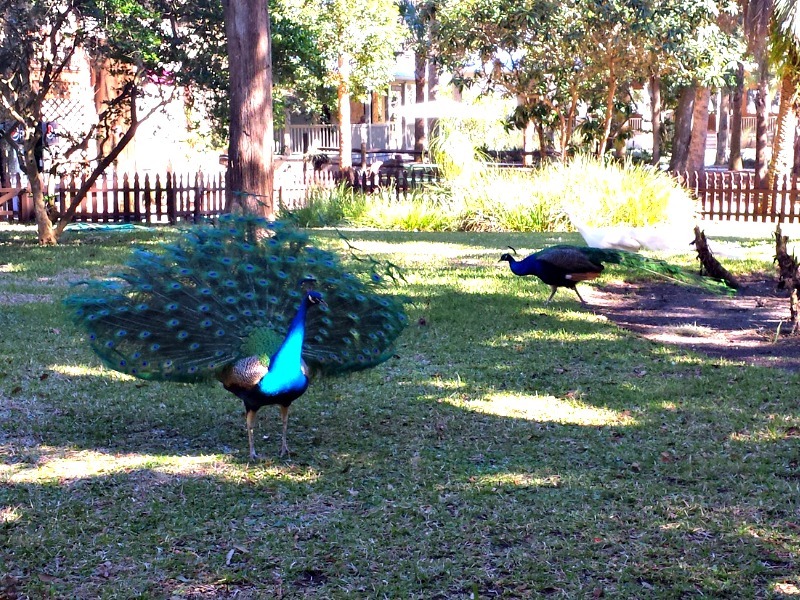 We even saw some peacocks during our visit! There are many exhibits in the park, but one of the main ones is The Spring House. 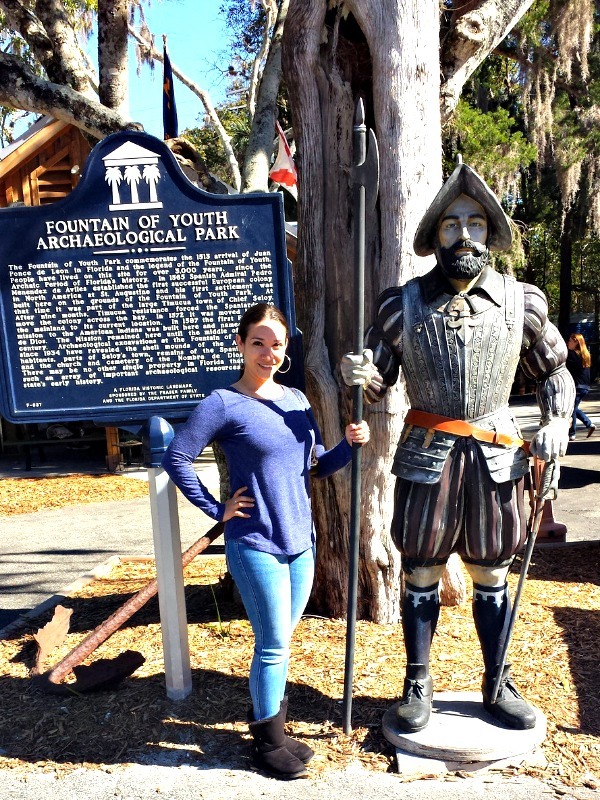 Inside you’ll find a display with information on Ponce de Leon and the Timucua as well as the original spring that was recorded in a 17thcentury Spanish land grant. You can grab a small cup and drink from the spring which comes directly from the Florida aquifer and contains many minerals. We took a sip and you could definitely taste the minerals, but we weren’t going to miss a chance to drink from the Fountain of Youth! Read about St. Augustine’s top attractions here: Chocolate and Wine Tasting! Another favorite exhibit is the Cannon Firing. 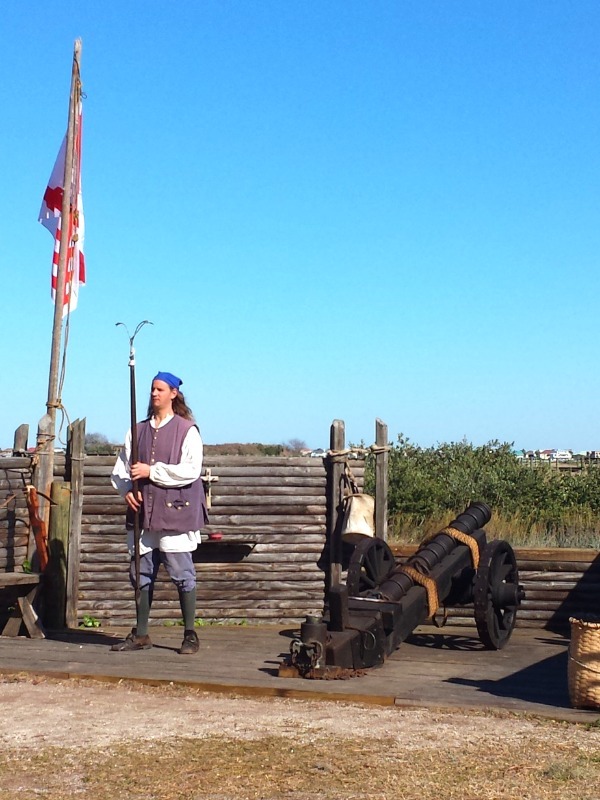 Every hour, there is a weapons demonstration where a replica of one of Pedro Menendez’s 20 artillery pieces is fired. 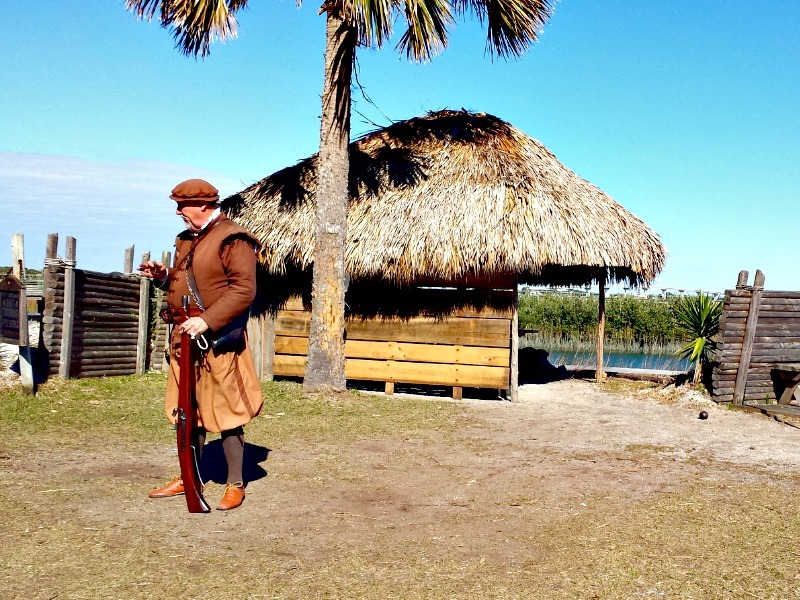 An arquebus gun and crossbow are also part of the demonstration. It’s interesting to learn how these pieces were used during the early years of the settlement and quite exciting to hear and feel the boom of the cannon! To get some amazing views, we recommend taking a stroll down Founders’ Riverwalk. It is 600 feet long and you can see for miles in all directions. From the end of it, you can look back towards the park and get a sense of what Ponce de Leon saw as he navigated towards the shore all those years ago. It’s pretty spectacular. We had a great time at the Fountain of Youth Archaeological Park. Everyone is dressed in period costumes and you really feel as if you’ve gone back in time. 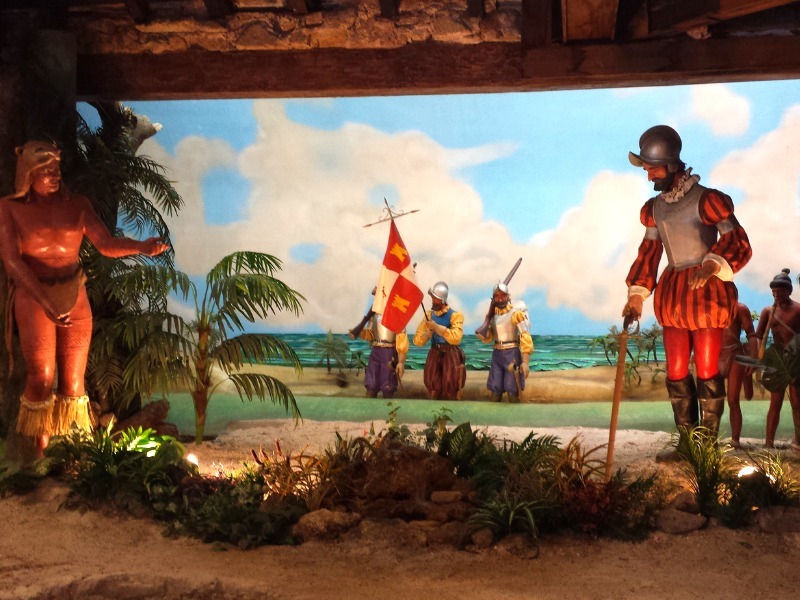 It’s a fun way to learn about the impressive history of St. Augustine. You can purchase tickets online, or at the park. You can bring in your own food, or eat at the Smoked Southern BBQ where all food is locally sourced.